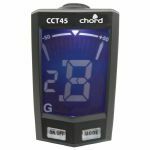 Notes: Multi-mode contact tuner with large blue backlit LCD display which switches to green when in-tune. Modes for chromatic, guitar, bass, violin and ukulele. 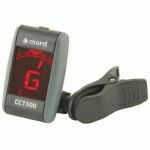 Notes: Compact clip tuner with backlit LCD display showing a virtual needle which changes from red to green when in tune. Modes for chromatic, guitar, bass, violin and ukulele. Notes: The integral clip can attach to a surface up to 20mm thick and positioned in front of or behind a headstock for convenience. A single button controls on/off and modes for Chromatic, Guitar, Bass or Ukulele. The display shows a virtual needle and the automatically detected note with an orange backlight which changes colour to green when the detected pitch is in-tune. Accurate and convenient tuning for guitars and other instruments. Notes: The sequel to the most popular guitar interface of all time! iRig 2 is the new and improved version of the groundbreaking and best selling iRig guitar interface. Featuring everything you loved about iRig, it has powerful sound and streamlined convenience, and it packs essential new features like versatile gain control, a 1/4" amplifier output and Android compatibility into its sleek pocketable enclosure. Now everyone can plug in their guitar or bass to enjoy killer tone on their iPhone, iPad, iPod touch, Mac or Android device - with the release of iRig 2, the world's most popular guitar interface is better than ever before. If you loved iRig's versatility, you'll love what iRig 2 brings to the table. Its new 1/4" output jack lets you use iRig 2 with an amplifier as a part of your live rig without the use of an adaptor. This opens up a whole world of opportunities when paired with AmpliTube, IK's powerful guitar and bass multi-effects processor. It provides you with a vast library of meticulously modeled virtual stompbox effects, amplifiers and other gear that you can use as a part of your physical rig when you're jamming with friends, at a practice session, in the recording studio or performing live. Or, if you want to be discreet, plug your headphones into the included 1/8" headphone output. iRig 2 has been made to be compatible with the widest range of instruments and mobile devices possible. Its built-in universal 1/8" TRRS output connector gives you a true plug-and-play experience with your iPhone, iPad, iPod touch, Mac or Android device. Likewise, its 1/4" instrument input works with your guitar, bass or any line-level instrument. Just plug into it like you would into a stompbox or amplifier. It's as simple as that. And because volume levels vary from instrument to instrument and from device to device, iRig 2 comes equipped with an input gain control knob that lets you dial in the perfect setting for your setup. You'll get great sound quality no matter whether you have a wailing 3 humbucker electric guitar running into your Samsung Galaxy Note 4 or a jazzy archtop connected to your iPhone 6. Got an Android smartphone or tablet? Great! 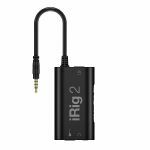 iRig 2's 1/8" output connector is compatible with many popular Android devices produced by manufacturers like Samsung, LG, Motorola, HTC and more - any device with an 1/8" input that supports the CTIA/AHJ wiring standard works with iRig 2. Additionally, users with Android devices that support Samsung Professional Audio can enjoy AmpliTube for Android, a special version of the popular multi-effects processor that brings a full spread of meticulously modeled virtual gear to the Android platform. With iRig 2, you'll be able to enjoy IK's full range of AmpliTube apps (the #1 app for guitar players). It's ready to go right out of the box. It comes with a powerful cross-platform suite of apps and software that includes free versions of AmpliTube for iOS, Android and Mac/PC. To use, just download your preferred version for iOS from the App Store or for Android from the Google Play Store or from Samsung GALAXY Apps. Then plug your guitar or bass into iRig 2, plug your amplifier or headphones into your device and launch the app. Immediately you'll see something very familiar: a complete guitar rig. AmpliTube recreates your entire guitar or bass signal chain in your mobile device and also - depending on your device - provides you with other advanced features, like multi-track recording and editing, high-quality export and more. And while iRig 2 is the ideal companion to AmpliTube, it also works with any other recording, processing, tuning or music app. AmpliTube is always growing, and we add great sounding and fun new gear models on a regular basis. The in-app purchase feature lets you expand your AmpliTube app whenever and however you want. You can start your journey into this universe of tone with AmpliTube FREE, and then add to your collection of gear at your own pace. Notes: The leaders and pioneers of mobile music making now bring you another breakthrough in mobile guitar interfaces - the iRig HD 2, the next generation of the immensely popular iRig HD interface. - 1/4" Amp output jack with switchable output "FX" and "Thru"
iRig HD 2 fits easily in your pocket and connects directly to your Lightning and USB devices - so no matter which iPad, iPhone, Mac or PC you have, you're ready to rock at a moment's notice. There's no complicated setup - just plug in and play. - Do a quick study of the guitar interfaces out there and immediately you'll see what we mean by a "higher level". Only iRig HD 2 gives you so many player-centric features in such a compact, affordable and professional level mobile guitar interface. And, since we pioneered the mobile music revolution and invented the mobile guitar interface way back around the dawn of prehistoric smartphone times, we know a few things about playing guitar on the go. When we say, "a higher level," we mean you simply won't find better with this many features and this much value. - First and foremost, iRig HD 2 simply sounds amazing. It features superior digital audio quality with premium 24-bit A/D converters and a 96kHz sample rate - the highest in its class i for a crystal clear digital signal that's free from noise and crosstalk. This pure high resolution conversion lets your guitar's natural performance tone come through loud and clear when playing and recording on your iPad, iPhone, Mac or PC. Its super-transparent preamp ensures that every nuance - from the pickups, wood tone, string size, nut material, electronics, and every other reason you picked "that" guitar in the first place is accurately communicated to your device with zero coloration or interference. And because of its 96kHz sample rate, the depth and clarity of your sound will simply floor you - iRig HD 2 sounds amazing. - One of the things that makes the iRig HD 2 unique is the ability to send your processed signal directly to a guitar amp without the need for special conversion adapters. iRig HD 2 features an unbalanced 1/4" Amp Out jack that you can use to send your processed or unprocessed guitar signal to an external amplifier, floor tuner or completely different rig setup for live performance. The Amp Out jack features a dual mode switch allowing you to choose what type of signal you want to send to your amp. - The "FX" setting sends your processed signal, or the sound coming out of your software/app to the external device. This is perfect when you want to use your iPad or Laptop as your effects pedalboard, your amp's front end or complete tone rig in a live setting. The "Thru" setting sends your guitar's dry, unprocessed signal directly to the out jack, allowing you to use a floor-based or rack tuner, a pedalboard or even an additional full-on stage rig. Plus as an added performance feature, iRig HD 2 has an integrated microphone stand "clip" and Velcro strap so you can secure it to a mic stand on stage for live performance. - If you're contemplating upgrading to the latest and greatest iPhone, then listen up. iRig HD 2 sports a new 1/8" (3.5mm) headphone jack with preamp and level control integrated into the unit so you can monitor your recording and playing... even if your device doesn't feature a headphone jack. Pretty smart. But this is no ordinary standard "headphone" jack - it features a high-resolution headphone preamp that optimizes the audio signal for full range playback and monitoring. You can also use this output to send a stereo signal out to a mixing console or a pair of powered monitors like iLoud Micro Monitor. Notes: Clip-on chromatic tuner featuring 3 modes: chromatic, guitar and bass. This neat tuner has a spring action clip and can be fixed to the headstock of the guitar when in use for hands-free viewing of the clear LED screen. Requires 1 x CR2032 battery (supplied). Notes: The Korg OT-120 is an accurate and functional orchestral and band tuner. Tune string and wind instruments in a flash with the OT-120, a band and orchestral tuner that combines the accuracy of needle type meters with superior functionality, wide tuning range and a sleek vertical design. The Korg OT-120 chromatic band and orchestral tuner is intended for orchestral instruments, packing precise performance and sophisticated functionality in a vertical design that's easy to hold and operate. The Korg OT-120 features a dual-display, an easy-to-see needle type indicator and a backlit LCD screen that shows the battery life, sound output level, calibration, as well as key and note name. 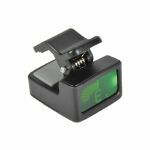 Additional design features include a large dial that makes it easy to select the desired mode, soft-touch buttons and a rear-mounted stand that lets the band and orchestral tuner stand by itself. A sophisticated silver aluminum panel contributes to its sleek, new look. Since Korg developed the world's first meter type tuner in 1975, the accuracy of Korg tuners has made them the choice of artists in all styles of music. 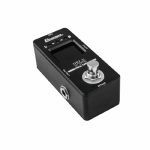 With its wide tuning range extending from A0 to C8, the OT-120 lets you quickly tune any type of band instrument including, orchestra, wind, string, brass or piano. The Korg OT-120 also provides a wide range of calibration to support concert pitches in a range of 349-499 Hz (1 Hz steps). This band and orchestral tuner uses a high-precision needle-type meter to accurately indicate any pitch discrepancy. The speed at which the needle responds to the input can be changed over a range of three steps; you can choose fast, medium or slow speeds to match your tuning preference. You can also choose from 2 tuning modes; auto mode, which automatically detects the pitch of a single note you play on your instrument, or manual mode, which lets you specify the desired note name. In manual mode, the needle movement is shown in a range of 50 cents, letting you view the tuning discrepancy over a wide range. In addition to the excellent visibility unique to a needle-type meter, the LEDs located below the meter also indicate pitch deviation or a perfect match, making precise tuning easy even in dim locations. The OT-120 produces a reference tone in a 5-octave range extending from C2 (65.41 Hz) to C7 (2093 Hz). You can switch the output level in 2 stages. The large speaker allows for more volume while not being obstructed even when using the stand, ensuring that the reference tone is clearly audible. The OT-120 also provides Korg's proprietary sound back mode. This mode lets you connect an optional CM-100L contact microphone to the input jack, and automatically make the OT-120's speaker produce a reference tone for the note that is closest to the input pitch you play on your instrument. The meter will also indicate the input pitch, letting you tune using your eyes as well as your ears for greater accuracy, and also providing a great way to train your sense of pitch. For conveniently tuning any wind instrument, 12 x types of transposing keys are provided in this band and orchestral tuner, including both sharps and flats. The multi temperament function provides 8 x presets that cover the most popular historical temperaments often used with period instruments. These are also ideal for checking unique temperaments used in classical music. And aosl, a durable, suede tone soft case is included, along with two AAA batteries for operation straight out of the box! Notes: Available in metallic grey for a limited time only! The Pitchblack Advance is now available in an all-new, limited-edition metallic grey colour scheme. This new finish is both elegant and tough-looking and is a perfect match for the flowing lines of this pedal. Featuring a slanted design that hints at a new age, the Pitchblack Advance retains the toughness that is characteristic of the series, in spite of becoming even lighter in weight. The display features high-brightness colour LEDs, nearly doubling the size of the note name display and providing amazing visibility. Whether you're on a dimly lit stage or outdoors in bright sunlight, this display will always be easy to read. When using strobe mode, the Pitchblack Advance allows ultra-high-precision tuning with i0.1 cent accuracy. It's a great choice for exacting situations where even slight errors cannot be tolerated, such as in professional recordings or stage performances. Choose from four meter display modes to suit your playing style. In addition to the standard "Regular mode," you can use "Strobe mode" or "Half-strobe mode" in which the direction and speed of meter movement indicate the pitch change for easy visualization of even minute differences, as well as "Mirror mode" in which two LEDs move from left and right to coincide in the centre as you tune. The true bypass design allows the input sound to be output with absolutely no change (when the tuner is off). In other words, the tuner circuit does not change, degrade, or colour your sound in any way. Since the input sound is completely muted when the tuner is on, this unit is ideal for use on stage. The eight-year journey of the Pitchblack series has brought its high efficiency and long-life design to an even higher pinnacle. With approximately 30 hours on zinc-carbon batteries and approximately 60 hours on alkaline batteries, this new unit achieves ultra-long-life operation that is six times greater than the Pitchblack. Even on a long tour or an extended recording session, it will continue to fulfil its role as your faithful partner. Notes: Small size, huge visibility! Choose from three meter display modes to suit your playing style. In addition to the standard "Regular mode", you can choose "Strobe mode" or "Half-strobe mode" in which the direction and speed of meter movement indicate the pitch change for easy visualization of even minute differences. When using strobe mode, the Pitchblack mini allows ultra-high-precision tuning with i0.1 cent accuracy. It's a great choice for exacting situations where even slight errors cannot be tolerated, such as in professional recordings or stage performances. Notes: A reliable tuner that you attach to the sound hole of your instrument. The Rimpitch-C2, a tuner designed specifically for acoustic guitar. The Rimpitch-C2 is a tuner that you attach to the inside of the guitar's sound hole. The tuner's extremely slim and compact design allows it to be installed unobtrusively, and since the tuning meter is within your natural field of vision, you can glance casually at the tuning meter while you perform. It's an ideal choice for any acoustic guitarist who does not want to distract from their performance with a clip-on tuner. When tuning, the Rimpitch-C2 detects the sound through the vibration of the guitar itself. The body features a proprietary structure with a closely attached piezo pickup, allowing the sound to be detected rapidly and accurately. The tuner can be attached to a round sound hole of 100 mm diameter (within i 3mm) and is designed to fit a wide variety of acoustic guitars. Rubber cushions on both the inside and outside of the tuner ensure a secure fit and guarantee accurate tuning. The note name indicator is optimally balanced between the left and right of the display. The LED meter is shown across the entire display, and the strength of the light expresses the movement of the needle with exquisite precision. When the tuning is exactly correct, the left and right LEDs blink briefly, showing at a glance that you're perfectly tuned. This ensures excellent visibility not only when practicing in a bright room, but also on a dimly lit stage. The meter also lights beautifully when you turn the power on or off. The Rimpitch-C2 uses chromatic tuning, which supports tuning in any scale or key, making it ideal for players who use alternate, open, or dropped tunings. The detection range covers the range of E2 (82.41 Hz) - E7 (2637.02 Hz) required for guitar. The calibration function also supports a variety of concert pitches, allowing you to adjust the reference pitch in the range of 438 - 445 Hz as appropriate for the music that you're performing. When the remaining battery capacity runs low, the note name indicator of the display will blink, indicating at a glance that it's time to replace the battery. The battery compartment cover easily slides open or closed using a discreet button, ensuring it will not open accidentally. Because the design unifies the battery cover with the unit itself, you don't need to worry that it will be lost when replacing the battery. Notes: Ultra-high-precision clip-type tuner now featured with a longer life span. The "Custom Shop" series exemplifies the high quality KORG tuners is known for. As its latest addition, we introduce a top-level model tuner that can be attached directly to the head of your guitar/bass. The Sledgehammer Custom 100 provides an amazing battery life of approximately 100 hours using only one AAA battery. The easy-to-use shuttle switch is now equipped with an illuminated shuttle light for even better visibility. In addition to a 3D visual meter, you can also use professional ultra-high precision tuning with an accuracy of i0.1 cents. It's the ultimate high-spec clip-type tuner. KORG tuners have a 40-year history that began with the world's first needle-style tuner. While we have produced many different types, including tuners with unrivaled precision and ones with epoch-making functionality, these products were made possible by KORG's unwavering commitment to quality. In other words, our attitude of sincerely listening to the voice of the users, our revolutionary ideas, and our high level of technological ability are what underlie the long history of KORG tuners. Now, KORG announced a new lineup aimed at achieving even greater innovation. The name "Custom Shop" designates this tuner as a flagship model that is a representative of KORG's highest levels of technology. Its design features a beautiful meter displayed by a CMD panel, ultra-precision detection, and careful attention paid to appearance and feel. KORG's high technological ability and commitment to quality have taken shape as the "Custom Shop" name. The Sledgehammer Custom 100 features a newly improved design that takes advantage of its distinctive cylindrical body. By using a single AAA battery, it allows approximately 100 hours of continuous operation. This long-life design provides seven times the operating time of the previous model, and is also extremely economical. A tuner is an indispensable companion for an instrument, and this unit will be a reliable partner for any musician's daily practice or performance. A major feature of the Sledgehammer is the shuttle switch that can be easily operated with a single hand. just as if you were turning a tuning peg of your instrument while playing a string. This shuttle switch undergoes a further evolution on the Sledgehammer Custom 100, adding a cool illuminated shuttle light to ensure good visibility even on a dark stage. Improved design also enhances the durability and feel of the clip. The 3D visual meter exemplifies the Custom Shop series. A large and easily visible note name indication and the distinct movement of brightly illuminated LEDs make the pitch difference and change instantly recognizable. This new 3D visual meter makes it simple to tune with a precision of i0.1 cent. Designed with the professional user in mind, KORG's Sledgehammer Custom 100 offers extremely accurate tuning with a detection range of +/- 0.1 cents, a level of precision that is uncommon of clip-on tuners. Choose from three meter display modes to suit your playing style. In addition to the standard "Regular mode," you can use "Strobe mode" or "Half-strobe mode" in which the direction and speed of meter movement indicate the pitch change for easy visualization of even minute differences. The clip is designed to make the connection with your instrument as efficient as possible, ensuring a firm grasp. The Sledgehammer Custom 100 firmly adheres to a variety of guitar and bass headstocks and double mechanism of a movable arm and ball joint simultaneously provide both durability and free range of angle settings. Players have the flexibility to position the tuner wherever they need. A variety of functions are available to support your various tuning endeavors: the calibration function allows for a variety of concert tunings, the auto power-off function, and the memory backup function. Notes: Enjoy private dance lessons anytime - an ultra-miniature music player that you wear in your ear. SyncDancing is an ultra-miniature music player for ballroom dance practice that you wear in your ear like an earphone. In addition to metronome functionality, it has 20 built-in standard ballroom dance songs, so you can practice at any time while listening your favourite dance songs. This one unit provides everything you need for improving your dancing skills, sharpening your sense of rhythm, and becoming familiar with dance songs. You can practice by yourself, or synchronize the tempo via infrared so that two people can each wear a unit and practice together. SyncDancing is a unique style of music player and metronome that you use by wearing it directly in your ear. Since the speaker unit fits directly in your ear, you can practice dancing with the correct rhythm while hearing the music directly in your ear. Because you can concentrate on the sound without being distracted by nearby sounds, this is ideal for personal practice at home as well as for practice in a large dance studio or hall. SyncDancing is extremely small and lightweight, so you can dance without any distraction. The keys to improving your ballroom dance skills are to acquire steps and technique, nurture your sense of rhythm, and become able to express yourself by dancing to the music. With SyncDancing, you can experience rhythms and music anytime and anywhere for effective practicing. A total of twenty standard songs for ballroom dances such as waltz, tango, rhumba, and cha-cha-cha are built-in, and you can play them back while switching between the metronome and the song (*). Each of the internal songs was created by a professional arranger who actually produces music CDs for ballroom dance. The tone generator section also takes advantage of KORG's many years of experience in developing synthesizer technology, packing a high-quality sound engine into the smallest possible size. Since these songs play back as SMF, you can freely change their tempo. With SyncDancing, you can enjoy serious dance practice with CD-quality songs. SyncDancing supports not only individual practice but also practicing dance as a couple. Simply click two SyncDancing units together and press the sync button to synchronize the tempo and timing via infrared (*1). Even while wearing the unit directly in your ear, both partners can practice while hearing exactly the same tempo. The timing (delay) from the moment of synchronization until playback begins can be set in a range of 0--90 seconds (*2). This gives you flexibility to meet the needs of various situations. For example you can specify a shorter delay if you're synchronizing the units and then immediately starting a lesson, or use a longer delay if you need time to get into your position in a large hall. SyncDancing's metronome sound (tone) provides not only the standard "beep beep beep" electronic tone but also a voice count of "one, two, three." You can practice with confidence while hearing the correct count. The tempo setting range is a generous 30--252 bpm, and you can choose from a variety of beats and rhythms when using the metronome. You can set the beat in the range of 0--9 beats, and choose the rhythm from quarter notes, duplets, triplets, triplets with the inner beat omitted, triplets with the third beat omitted, quadruplets, quadruplets with the middle beats omitted, and quadruplets with the third and fourth beats omitted. This covers your practicing needs for a broad range of songs. The SyncDancing features a jog switch on the side of the body, allowing you to easily change the settings without removing the unit from your ear. Using the jog switch you can select not just the tempo setting, but also the song or volume. This provides a compact yet highly intuitive method of operation. The mode select / power button, sync / mute button, and an LCD display that shows the tempo and other information are located on the inside of the body. The SyncDancing utilizes two distinctive mechanisms to ensure a stable fit in any ear, large or small. The first is an Ear Fitter that extends from below the speaker. Its angle can be finely adjusted by rotating the speaker itself, allowing to fit the various shapes of ear hole. The second is an Ear Clip that opens or closes to fasten on the earlobe. The clip ensures a solid hold that will not be dislodged even by vigorous dancing when in use. Ear pad and carrying case included. The TM-50 tuner/metronome, which allows musicians to practice both pitch and rhythm in a single unit, has now taken a major evolutionary leap to become the new TM-50TR. In addition to the existing high-precision tuner functionality, the TM-50TR adds a new Tone Trainer function which analyses your playing sound in more detail. It detects not only the pitch, but also the volume and brightness of your tone, as well as the stability of these aspects, making it much easier to evaluate your own playing and practice more efficiently. Of course the TM-50TR also provides Sound Out and Sound Back functions that are great for improving your sense of pitch. Additionally, its metronome capabilities feature a new "periodic" metronome function that can help you practice keeping the rhythm. The display newly features a large color LCD for excellent visibility. The TM-50TR is available in your choice of two colors: silver or black. With its ability to give you more detailed feedback on your playing, the TM-50TR will take your daily practice routine to the next level. In addition to its high precision as a tuner, the TM-50TR features a new "Tone Trainer" function (*1, 2) that can evaluate your sound in even greater detail. When you play a sustained note on your instrument, the TM-50TR will detect not only the pitch, but also the dynamics (volume) and brightness (tonal character). These three elements are displayed in the TM-50TR's meter in real time. When you finish playing the note, the stability of each of these three elements is shown in a graph, allowing you to see at a glance whether your sound is stable. By analyzing these three basic elements of sound, including tuning, the TM-50TR can identify which aspects of your playing need improvement, thus helping you practice more efficiently. The Tone Trainer function is based on KORG's new ARTISTRY (*3) technology. This is proprietary technology for analyzing and evaluating sound that was developed through cooperative research under the supervision of Xavier Serra, Director of the Music Technology Group at the Pompeu Fabra University in Barcelona, Spain. In addition to visual tuning using the meter, you can use the Sound Out function to produce a reference tone from the internal speaker or headphones, and tune by ear. You can specify the reference tone in a three-octave range from C3 (130.81 Hz) to C6 (1046.50 Hz), which covers a wide variety of instruments. In addition to the Sound Out function, the TM-50TR provides a Sound Back function (*) that's ideal for further training your sense of pitch. The reference tone that's closest to the note you play into the tuner is played back to you through the speaker, and the pitch of your input is simultaneously shown in the meter; this lets you check the pitch simultaneously by eye and ear, enabling you to tune accurately and also helping you develop an accurate sense of pitch. The TM-50TR lets you use the tuner function and metronome function simultaneously. For example, if you're doing rhythm training along with the sound of the metronome, and feel that the tuning of your instrument might have drifted, you can turn on the tuner function while letting the metronome continue running. 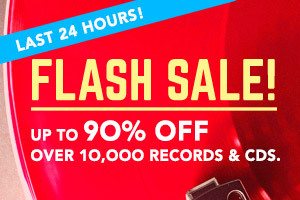 This lets you simultaneously train two elements that are indispensable for any instrumental performance: your sense of pitch and your sense of rhythm. You can choose fifteen types of metronome rhythms. It contains standard time signature from 0 through 9, and sophisticated rhythms such as duplets, triplets, triplets without the center beat, quadruplets, quadruplets without the center beats. It allows training a diverse variety of styles including classical, rock, and jazz. The TM-50TR features a new Periodic Metronome function that further develops your sense of rhythm. This function repeatedly alternates between sounding and silencing the metronome for the specified number of measures, so that you can keep playing during the silent measures to see how well your own performance has kept time with the metronome when it resumes sounding. The cycle between sound and silence can be adjusted in a range of 0--4 measures (with a setting of 0 the function is off). This is a great way to test whether you are accurately keeping the rhythm during your performance. Notes: The Korg TM series allows you to use the tuner and metronome simultaneously. Since this single unit is all you need for both pitch and rhythm training, it has become a favourite lesson tool for brass bands as well as many other types of musicians. The TM-50 is the latest model, featuring a two-level backlight that enhances the visibility of the LCD display. It uses a newly designed needle-style LCD for excellent response, and even greater tuning accuracy. In a first for this series, the entry-level model provides the Sound Back function that allows the speaker to generate the reference tone that's closest to the input sound, giving you a great way to develop and refine your sense of accurate pitch. Available in a choice of two colours, black or pearl white, the TM-50 is the perfect daily practice partner that will support your development as a performer. The TM-50 features extremely fast response to audio input from wind and other instruments, and the redesigned meter display method allows the pitch to be accurately and instantly shown without any time lag. Wind players will no longer experience the problem of their pitch changing spontaneously before it can be displayed accurately; this ensures that you'll be able to develop stable and drift-free pitch. When performing in a brass band or orchestra, incorrect pitch is particularly noticeable for harmonic intervals of a third, yet by slightly skewing the pitch of a major or minor third interval from the equal-tempered pitch, you can obtain a more pure-sounding harmony that satisfies the ear. The meter scale of the TM-50 provides marks that indicate pure major and minor thirds relative to a given pitch; simply by tuning. When the needle aligns with the appropriate mark, you'll be able to produce beautiful harmony when playing in an ensemble. This is extremely convenient not only for wind instruments, but also for vocal or a cappella practice. Fifteen types of rhythms are built in, including time signature numerators from 0 through 9, duplets, triplets, triplets without the centre beat, quadruplets, and quadruplets without the centre beats. The tempo can be freely set in the range of 30--252 beats per minute. Sophisticated rhythms such as triplets and quadruplets with the centre beats omitted can be useful for a diverse variety of styles including classical, rock, and jazz. The volume can also be adjusted, so you'll be able to use the metronome in any situation from personal practice in a small room to rehearsals in a studio. Notes: The best-selling KORG TM series, which lets you use a tuner and metronome simultaneously, has been revamped. The TM-60 is the newest model and features a larger display that can show the tuner and metronome simultaneously. The battery life has also been dramatically improved. With the all-new TM-60, you'll be able to enjoy pitch training and rhythm training without having to switch functions or be concerned with battery life. Tuning and rhythm training are indispensable for brass band or orchestral practice. In addition to letting you use the tuner and metronome simultaneously, the TM-60 features a display that's approximately 1.3 times larger than the previous model (the TM-50), allowing easy viewing even when the unit is placed on your music stand, and also allowing the tuner and metronome functions to both be viewed simultaneously. No longer will you have to switch between functions; you'll be able to use practicing techniques that are idiomatic to orchestral instruments, such as keeping a consistent pitch over the course of a long note while varying the tone to add vibrato in time with the tempo, or checking the pitch of chords while using the metronome. The enlarged display is backlit. You can adjust the brightness in two levels, soft or auto, ensuring stress-free tuning even when you're on a dimly lit stage or in an orchestra pit. The circuitry has been redesigned to achieve a battery life of 130 hours, approximately double that of the previous TM-50 model (tuner in use, backlight off). There's no need to worry about the remaining battery life even during extended practices or performances. KORG's proprietary technology accurately detects the pitch without any time lag. The pitch drift that is prone to occur during long tones played on a wind instrument can be detected before it happens, letting you train yourself to produce unwavering tone with stable pitch. The TM-60 can detect note names and pitches for a variety of orchestral and other instruments. The range from C1 (32.70 Hz) to C8 (4186.01 Hz) can easily be detected. Even acoustic instruments that are difficult to detect because their sound contains a significant amount of low-frequency energy or a large number of partials, such as guitar and ukulele, can be tuned easily and accurately. In an ensemble such as a brass band or orchestra, harmonies of third intervals are easily perceived as out of tune, and can be made to sound better by slightly adjusting the pitch to a pure major or minor third. The TM-60's meter scale provides marks that indicate pure major and minor thirds, and simply by tuning so that the needle coincides with these marks* allows you to play in beautiful harmony with an ensemble. This is convenient not only for orchestral instruments but also for vocal music or a cappella practice. You can set the tempo using three different methods: "pendulum step" lets you increase or decrease the tempo value in the same way as the settings on a standard pendulum-type metronome, "full step" lets you specify the tempo in single-step increments in the range of 30-252, and "tap tempo" lets you specify the desired tempo by pressing the switch in time with the song you're playing. There are 15 different built-in rhythms* including time signatures from 0 through 9 as well as duplets, triplets, triplets with the middle note omitted, quadruplets, and quadruplets with the middle notes omitted, and the tempo can be freely specified in the range of 30-252 beats per minute. Sophisticated rhythms such as triplets or quadruplets with the middle notes omitted are used in a wide range of styles from classical to rock and jazz. The design of the TM-60 pays careful attention to every detail of the unit. A folding stand lets you position the unit stably. The battery compartment cover is designed as a single piece with the unit itself, eliminating any danger of the cover being lost when you replace the batteries. If 20 minutes elapses while the metronome is not operated and no sound is being input to the tuner, the auto power-off function automatically turns the power off. Notes: This package consists of the TM-60, which combines tuner and metronome functionality, and the CM-200 Contact Microphone, which sends the vibrations from your instrument directly to the tuner. By using the tuner together with this contact mic, you can take advantage of quick and accurate tuning without any interference from outside sounds in the environment, and you can also utilize the TM-60's Sound Back function*. The CM-200 Contact Microphone is the perfect way to accurately pick up and convey your instrument's sound to the TM-60 and-held tuner with its wide, easy to read meter. The TM-60 can be placed on a nearby music stand, making it ideal for orchestral or brass band instruments. The best-selling KORG TM series, which lets you use a tuner and metronome simultaneously, has been revamped. The TM-60 is the newest model and features a larger display that can show the tuner and metronome simultaneously. The battery life has also been dramatically improved. With the all-new TM-60, you'll be able to enjoy pitch training and rhythm training without having to switch functions or be concerned with battery life. The CM-200 is a contact microphone that can be attached to the bell of a brass instrument, the bridge of a violin, or even to a guitar or ukulele. The microphone uses a piezo element to directly capture the vibrations and send them to your tuner. The CM-200 is an indispensable item in situations where the mic built into your tuner might have difficulty detecting the sound of your instrument, such as when you're practicing with an entire brass band. Compared to its predecessor, the CM-200 features a fresh appearance with a sharper design. Notes: Continuing the classic Micro Single Block design, this pedal is small, durable, neat and easy carry. Notes: Guitar & Bass Tuner. - Tilt slot allowing you to insert a coin into the slot and tilt the tuner back for easy viewing. - Yamaha innovation grants the YT150 features normally found exclusively in more expensive tuners. High-resolution LCD meter display provides quick, accurate tuning. Made possible by sharp/flat/in-tune LEDs, tuning in the dark or from a distance becomes a breeze. The TY150 model tunes any acoustic, electric or bass guitar (4, 5, or 6 string) and includes a special "bass mode" displaying bass string notes in proper order. YTC10 is a clip-on tuner. Thanks to its calibration function, even experienced players will find the great use in many cases.